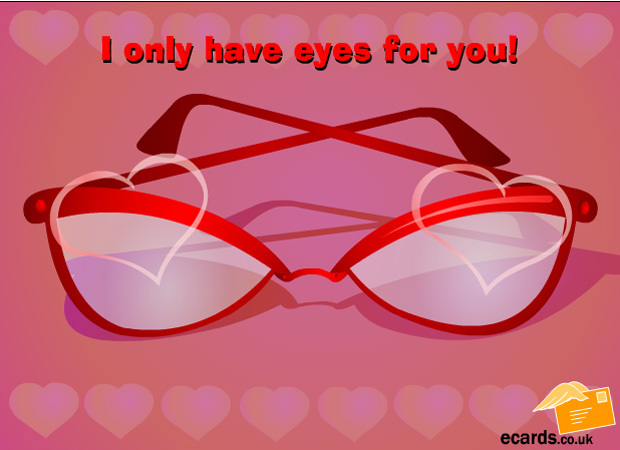 This interactive romantic e-card starts off with a glasses case and the user is prompted to click on the case. When they do so, the box opens and you see a pair of female glasses and text saying "I only have eyes for you". At the same time love hearts start appearing on screen. This is a nice romantic e-card and it is appropriate for women to send to men.